As the first large-scale independent brand exhibition organized by CNAICO in Southeast Asia, this exhibition area was about 7,000 square meters, and 158 exhibitors taken part in, including YTO Group Corporation, Changzhou Changfa Group, SUMEC Machinery & Electric Co., Ltd, Shandong Shifeng Group, Fujian Yonglong Industrial Group Co., Ltd, Ningbo Ruyi Joint Stock Co., Ltd., A.O. Smith (China) Water Heater Co.,Ltd, Zhejiang Shimge Pump Group Co., Ltd., Chongqing Wuzhoulong New Energy Automobile Co., Ltd. and other famous enterprises have exhibited their quality products. 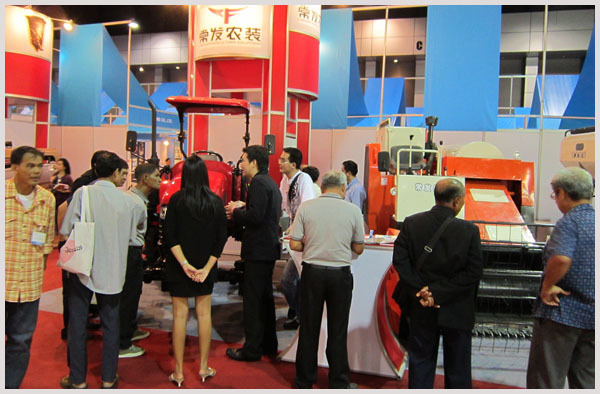 The exhibitionfocuses on displayingmechanical and electronical Products andconstruction materials Products.Mechanical and electrical products exhibits agricultural machinery, engineering machinery, automobiles and parts, electronic appliances and spare parts, etc. ; Construction materials Productsmainly includeconstruction equipment and devices, home decoration materials, ceramic products. According to the Thailand Convention and Exhibition Bureau statistics, the four-day exhibition attracted more than 12,000 buyers to visit and negotiate from Thailand and neighboring ASEAN countries. 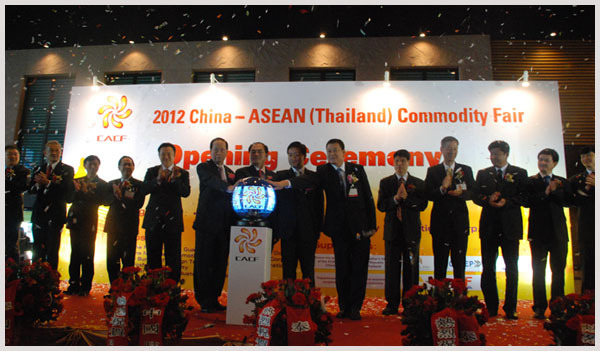 The exhibitionprovides a platform to exchange information with domestic enterprises and expand trade opportunities for Thailand and neighboring ASEAN countries. That contribute to enhance the "Made in China" product image and expand economic and trade exchangesbetween the "China - ASEAN Free Trade Area" countries. Exhibitionhas been strong support from the Chinese Embassy in Thailand and the Commercial Office, and theMinistry of Commerce of Thailand, the Chinese General Chamber of Commerce, the SME Development Council, the Convention and Exhibition Bureau. Chinese Embassy in Thailand agent Zhang Yiming, Chairman of Thailand Chinese General Chamber of Commerce Wu Hongfeng, Thailand SME Development Secretary Utahsa, Thailand Convention and Exhibition Bureau Secretary Akaban, as well as vice president of CNAICO Guo Qing and other leaders attended the opening ceremony of the exhibition.